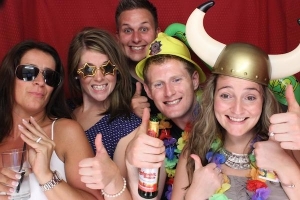 Photo Booths are the latest must have at weddings, prom nights, summer / winter balls, corporate events, bar mitzvahs, parties and celebrations. 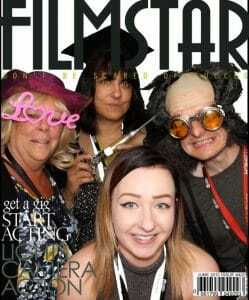 Enjoyed by guests of all ages, photo booths are super fun and a massive hit providing yourself and guests with a lovely memento of the day. Your guests will be talking about it long after the event. Our photo booths use only the highest quality DSLR Canon cameras. Couple this with a top of the range thermal sub dye digital printer an you are guaranteed the very best instant photographs in colour or black and white. Subject to WIFI connection at your venue, guests will also have the option to click a button to upload their pictures to Facebook. A separate Facebook / social network sharing pod is also available. 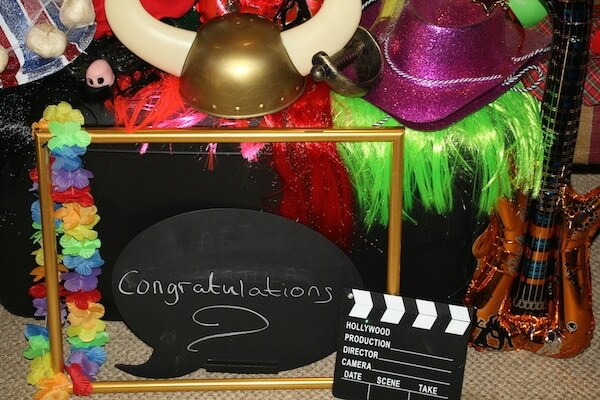 A prop box brimming with fantastic dress up items and props will accompany your photo booth giving your guests more reason to visit the booth time and time again to unleash a bit of silliness. An external HD screen displays the most recent photos. Our photo booths incorporate the latest technology which not only includes green screen but also facial recognition allowing people in the booth to have their faces swapped with that of a celebrity. It is very realistic and produces great pictures. 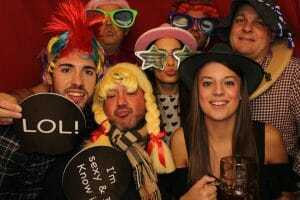 We can also offer eye and mouth recognition which always creates a lot of laughter. 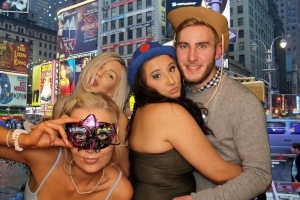 All photo booths will be operated by smartly attired, fully trained ‘booth butlers’ who will be in attendance for the duration of the hire to make sure everything runs smoothly. 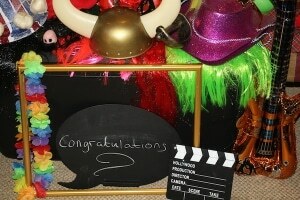 We can offer wedding albums and guestbooks where your guests can add their personal messages. Our booth butlers will print off two sets of prints – one for your guest and one for the album which will be presented to you at the end of the event along with a USB stick containing all of the photographs and videos taken. We are one of a handful of companies who can also offer Videoke or Marryoke. It is the equivalent to Karaoke in your photo booth. Your guests sing their hearts out to a variety of popular songs whilst being recorded. At the end of your event the booth butler will create a montage of each complete song showing snippets of all of the groups of guests performing to it. 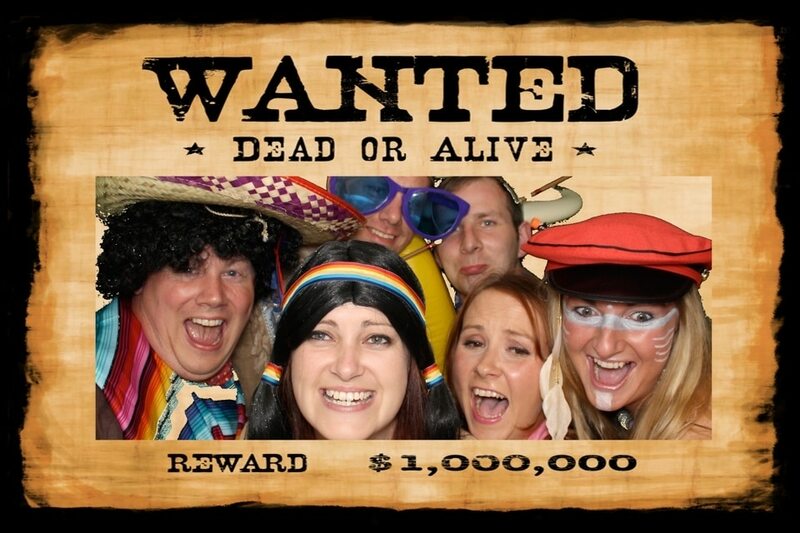 Depending on which style of photo booth you choose, our booths can accommodate up to 12 guests at any one time. Please contact us to discuss the most suitable style and colour options. 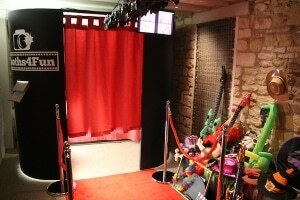 We are also able to offer VIP packages which include red carpet with chrome posts and rope to add even more elegance. Personalised key rings and phone covers are also available if requested. 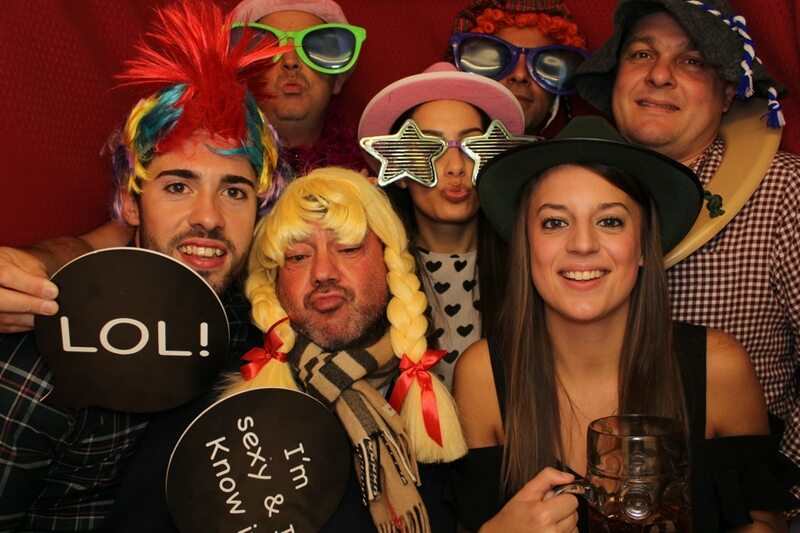 Following your event the pictures can uploaded to a secure website by our company. You will be given a password which you can share with your guests to view the original photos and download if required. We can offer photo booth hire to all areas of the England and Wales including Worcestershire, Herefordshire, Gloucestershire, The Midlands, Birmingham, Warwickshire, Shropshire, Avon and Somerset. Prices start from £365 – see our package and prices page.